JPGroove- Pullip My Select Merl?! Jolie Doll Shop exclusive huh ? 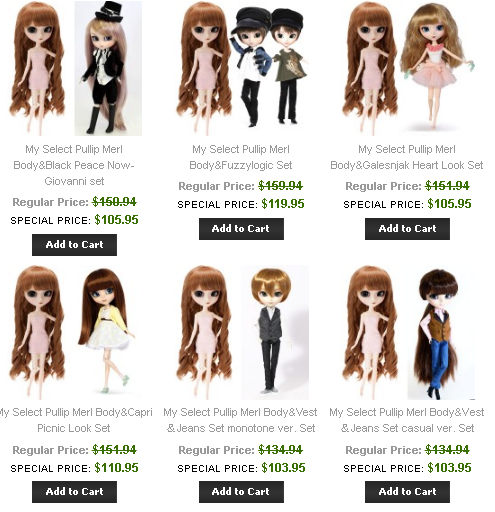 I happened to be browsing JPGroove earlier this morning when I found something quite unexpected, My Select Pullip Merl had restocked! 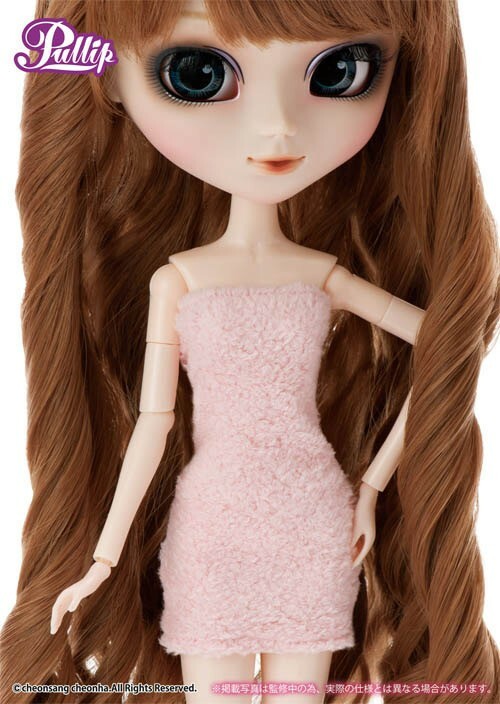 The My Select Doll line was created in 2012 the dolls featured as a part of the line were new basic versions of popular previous releases (with maybe some slight differences). They come only wearing a towel. They were designed to be fun to redress and/or customize so in a way they were kind of a precursor to MIO or Make It Own customization kits, you can read more about the line here. 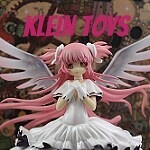 My Select Merl had been sold out for quite some time so it was unexpected treat to see her back in stock here. My Select Merl is priced at $94.95 which isn’t exactly cheap but she is also available in a variety of bundle packs with different outfit sets at very reasonable prices and these are just some of the selections! My Select Merl bundles are as follows: with the Black Piece Now outfit set for $105.95 link, with the Black Peace Now Giovanni outfit set for $105.95 link, with the Fuzzy Logic set for $119.95 link, with the Galesnjak Heart Look set $105.95 link , with the Capri Picnic Look set link , with the vest and jeans set monotone version link and with the vest and jeans set casual version link. I’m quite tempted by the Capri Picnic Look set combo but August is a rubbish month for me so many yearly expenses like tuition for my daughter’s school having been paid this month (not to mention back to school and my daughter’s birthday T_T ). By far, the most surprising thing to be found on JPGroove’s website this morning is the Antique Skull Dress by Jolie Lenie, the president of Jolie Doll. 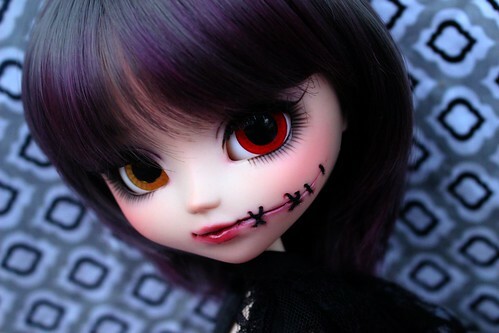 Jolie Doll is a Pullip shop located in France, they even have a physical shop in Paris. 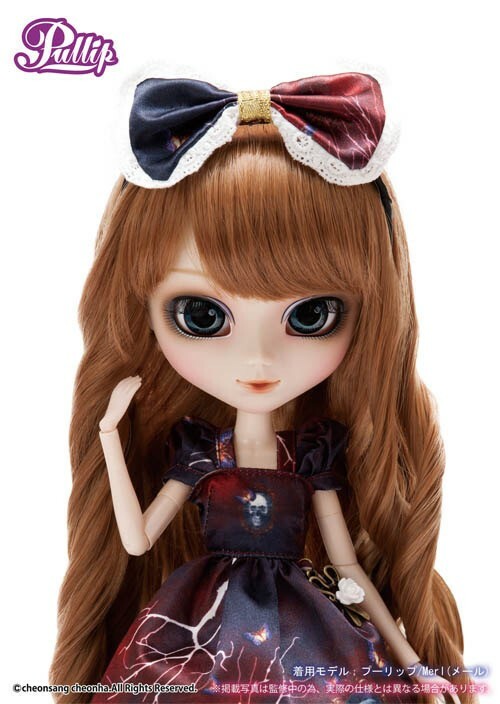 They previously announced that they would have an exclusive version of Pullip Merl wearing a new outfit designed by Jolie Lenie debuting at Japan Fest which took place from July 7th through 10th. Though it appears they attended the event, it does not seem like they actually had the exclusive at the event their pictures from the event can be seen here. I know Jolie Doll had been trying to crowdsource funding for their exclusive which they had announced back in May here perhaps they weren’t able to secure funding after all? That would definitely explain why JPGroove suddenly has a restock of My Select Merl and are able to offer the dress set separately, it’s interesting for how many bundles they offer with Merl that is no bundle with the dress set. 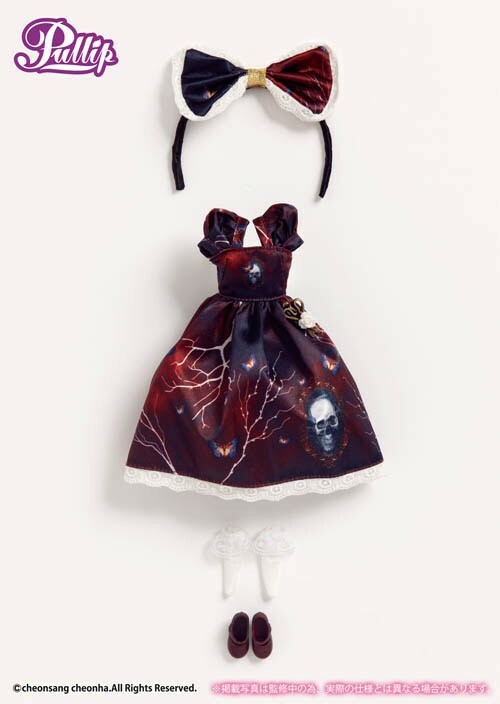 The Antique Skull Dress set is priced at $34.95. The dress set consists of a headdress, dress, socks and I believe the shoes come with it as well ( JPGroove says no dolls & shoes, only outfit but it also says the outfit set includes the headdress, one-piece dress, socks and shoes in it’s listing). The dress set is designed for Pullip but is said to also fit Dal and Byul as well, Mr. Klein has ordered the dress set for me so I will be posting a review as soon as it arrives as well as posting pictures of it on other dolls like Dal/Byul and an obitsu’ed Pullip as well. I personally love Jolie Lenie’s work but since I am still waiting on items I ordered from her etsy shop back in May, I probably would hesitate to order directly again so I am happy to see that Groove is offering the dress set for sale separately. I really don’t need another Pullip Merl, my new custom Pullip by Myufish will likely be the owner of the dress. Update: Since posting this on Saturday JPGroove has added some additional My Select Pullip Merl bundles as well as some My Select Dal Frara bundles on their website, you can see the entire selection here. I wrote Groove early Saturday asking about whether or not shoes were included with the Antique Skull Dress as the wording of the original listing was contradictory no dolls & shoes, only outfit but it also said the outfit set includes the headdress, one-piece dress, socks and shoes while they haven’t replied to me I did notice that they have updated the listing to confirm that the shoes are included. 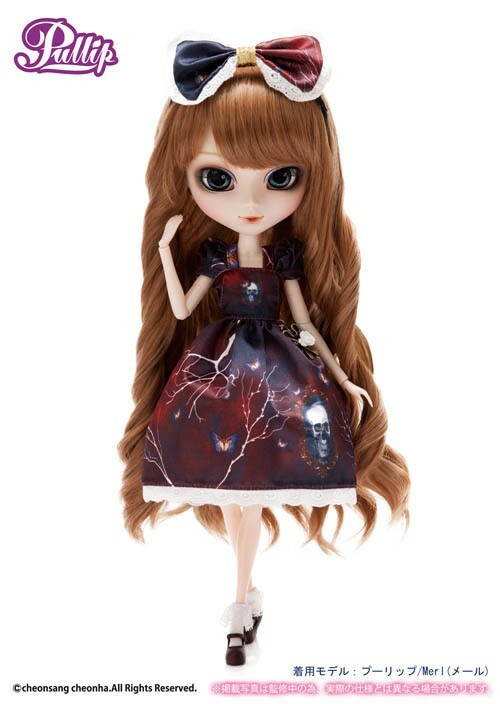 This entry was posted in Pullip and tagged groove, jpgroove, merl, my select merl, Pullip. Bookmark the permalink. 1 Response to JPGroove- Pullip My Select Merl?! Jolie Doll Shop exclusive huh ?